I am sure none of this will come as a surprise to any mom out there, especially a working mom who spends all day at one job, just to walk in the door and start her “other” full time job. So here is a list of all the crap I am sick to death of hearing said to me on a daily basis, an hourly basis, sometimes an every five second basis. Mom, AJ is stinking up the bathroom! Mom, AJ clogged the toilet again!! Mom, is dinner done yet? Yuck, do I have to eat that? Mom, do you know where my shoes are? Honey, did you move my __________ (Papers, glasses, keys, flash drive, briefcase, etc.) For the record it is ALWAYS where ever the heck he left it. I’m still hungry. Is there anything else? My Lego broke, can you fix it? I can’t find my Lego mini-figure. I think it fell behind my bed. Mom, the piece fell off again! Mom, how much longer are you going to be in the bathroom? Mom, did you hear me? How much longer are you going to be in there? Mom, are you drinking wine again? Didn’t you have a glass last night? Honey, you drink more than I do. Mom, why are you always so grumpy? 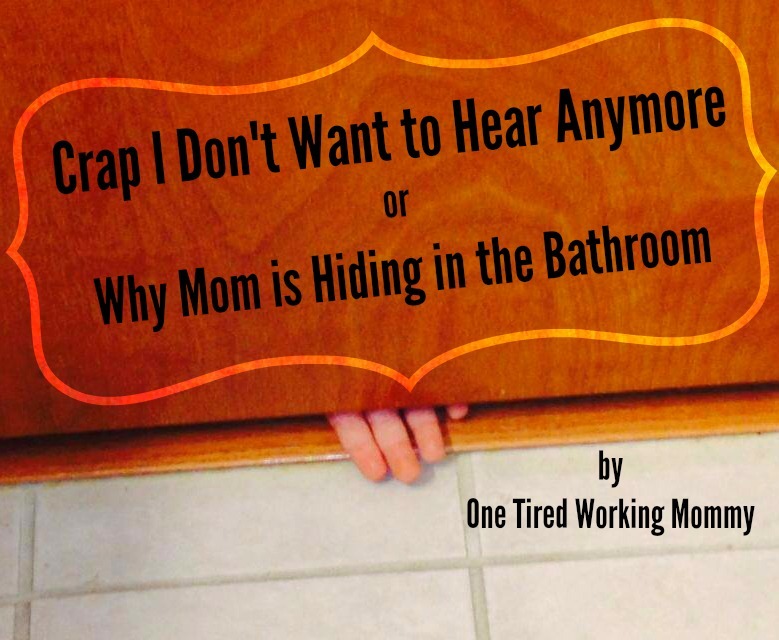 What phrase does your kid/s say (or your husband) that is literally driving you crazy? Let me know down below. Definitely the Mom…Mom…Mom…Mom. My girls ask for a snack before the dishes are even cleared too. Mine because they’re two and five it’s the constant want for me to pour them a glass of milk. My youngest always wants a glass of water. I was so excited when we got a new fridge and he could get his own glass of water. Then the water line froze and stopped working so now I have to go back and get the water myself. Some days I have to ban the word mom! There was actually one day when I told them that the next person who called out mom was going to get hit by a flying shoe. It’s like you read my mind! I have two girls. Aged 8 and 1y3m. I work far away from home so I am at 4 in the morning. Home by 5 if I’m lucky. And then the “night shift” starts! Unfortunately we have compulsory alcohol testing at work so the glass of wine is out for me.